Have you ever heard that 93% of communication is nonverbal? This is a statistic from the book Silent Messages by Albert Merabia that was published in the early 1970's. While there are studies that prove just how important our nonverbal communication is, this old statistic is something that many people disagree with. After all, think of some of the most famous speeches that have been delivered throughout history, even if you are only reading the words they are still incredibly powerful. However, there is no denying that our body language matters and plays a role in how effectively we communicate. 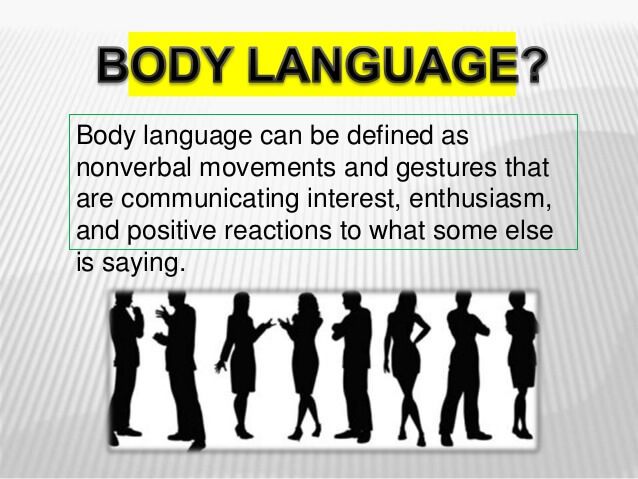 But, what is the body language definition and why does it matter? According to the Merriam-Webster website, the definition of body language is "the gestures, movements, and mannerisms by which a person or animal communicates with others." Communication is more than just verbal. The way we use our body to express ourselves is a large part of how we communicate. You've probably heard the phrase that actions speak louder than words, and this is something we can keep in mind when it comes to our body language. It's possible for our words to be saying one thing and our body language to be communicating something completely different. To have effective communication, our words and body language need to match, along with our tone of voice. When we put all of these things together and carefully choose our words to express what we mean, we have effectively communicated the point that we are trying to make. However, when we aren't careful about our body language, we can send mixed signals to the person that we're talking to. This makes it very difficult for them to understand the point that you are trying to get across. Common examples of body language include crossing your arms over your chest, biting your nails, resting your cheek on your hand, drumming your fingers, lifting your eyebrows, tilting your head, rubbing your hands together, stroking your chin, having good posture, slouching, and squirming around. It includes every way that your body communicates, both positive and negative. Body language is something that we often do without even thinking about. It's our body's natural responses to the situation. This is one of the reasons why sometimes our body language doesn't match what we are trying to say or trying to portray in a situation. 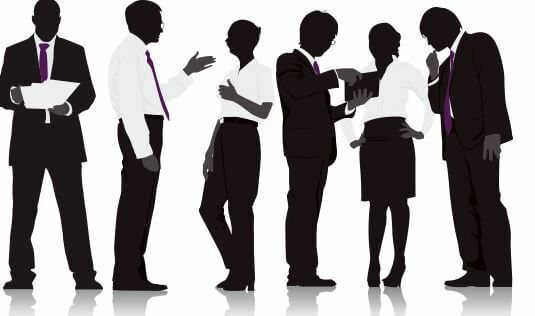 Here are some of the common forms of bad body language to avoid or be aware of and what you should be doing instead. If you want to show someone that you care about what they're talking about and that you're engaged in the conversation, you should not recline backward. This relaxed and reclined position when sitting should be saved for another time. It can give the impression that you are not interested in what they have to say. It can give the appearance that you are either or bored or that you simply don't care. Correction - If you want to show you are engaged in the conversation, lean in towards the person talking. This gives the appearance that you are actively involved in the conversation. It also helps you to focus your attention on the person that is talking and not be distracted. Many people cross their arms over their chest because they don't know what else to do with their hands while they are standing up. So, while you might not think this is bad body language, it can communicate that you are angry, defensive, or in disagreement. It can indicate to people that you are not interested in what they are talking about. Many parents see their young children use this body language when they are angry or not getting their way. Correction - Find something else to do with your arms. If you are sitting down, keep your hands in your lap. Or, if you are standing up practice allowing them to hang by your side. Try to be aware of not crossing your arms. If you are struggling, try having something that you have to hold in your hands while talking like a folder, purse, or coffee mug. This gives you something to do with your hands and arms that you don't need to think about. It looks like you are uninterested in the conversation or thinking about something else. You look untrustworthy because you will not look them in the eye. It gives the impression you are hiding something. It gives the appearance that you are anxious. Lack of eye contact can come across as low confidence. Correction - If you want to show that you are confident and trustworthy, make steady eye contact with people. However, don't just stare into their eyes. This comes across as intimidating and can make people uncomfortable. Instead, make sure that you make eye contact with them and then breakaway after a second or two. Then look back. When you clench your hands together, it can come across to others that you are angry, frustrated, or anxious. This action can make it look like you are trying to restrain yourself. However, some people mistakenly think that this action shows confidence. Many people instinctively clasp their hands together in front of them when they need to act confident. Some people confuse this move by having true confidence. However, it's usually the exact opposite. Correction - If you are sitting down you can rest your hands together. The problem is not your hands being together. The problem is what you are doing with your hands. If they are relaxed and at ease, it's much different than when you are tightly holding them together. The former shows confidence, and the latter shows nerves and anxiety. It is bad body language when someone's talking to you and your fidgeting around; it shows you're either bored with the conversation or that you're possibly nervous and feel uncomfortable talking with them. Fidgeting includes things like bouncing your leg up and down, drumming your fingers on the table or messing with your hair. Correction - Focus on sitting still even when you are nervous. This will be difficult at first, but you will get better at it the more you practice. Your body language should support the words that you are saying. If you are angry and are trying to communicate it, then your body language should support that. However, if you are going to a business meeting where you need to appear calm and confident, then your body language should support that as well. Since the body language definition includes everything that we are doing with our body while we communicate, here are some tips on things you should be doing. Nodding your head is a very simple way to show that you are listening to the person and in agreement. However, you need to make sure you do agree with what they are saying or else your body language isn't going to match your true opinions. Try to smile more. Smiling is a great form of body language that communicates positivity, happiness, and confidence. When you smile you appear approachable to others. And, it's great for you. Smiling helps boost your mood, improve your immune system, relieve stress, and helps make those around you happier too. Just by smiling at someone you can help bring their tension levels down and connect with them. Psychologists have also found that your smile doesn't have to be genuine to make an impact. Even if you don't feel like it, just by choosing to smile, you can boost your mood and start to take advantage of all the benefits mentioned above as well. When you are working with other people, make sure to observe their body language. There are times when this will give you a true indication of the situation. If they are sending you mixed signals between their words and their body language, then ask additional questions to clarify their opinion. The body language definition is simple and complex at the same time. It's simple in the fact that it's nothing more than what you are doing with your body while you are communicating. However, it's complex in the fact that there are so many forms of it and ways that it can be interpreted. If you are struggling with your conversations and communication, it could be due to your body language. Talking to a professional therapist, like those at BetterHelp, can help you pinpoint what changes you need to make. Effective communication requires your body language and words to match. Having good communication skills is important for all your relationships, both personal and business making this one area you don't want to neglect.